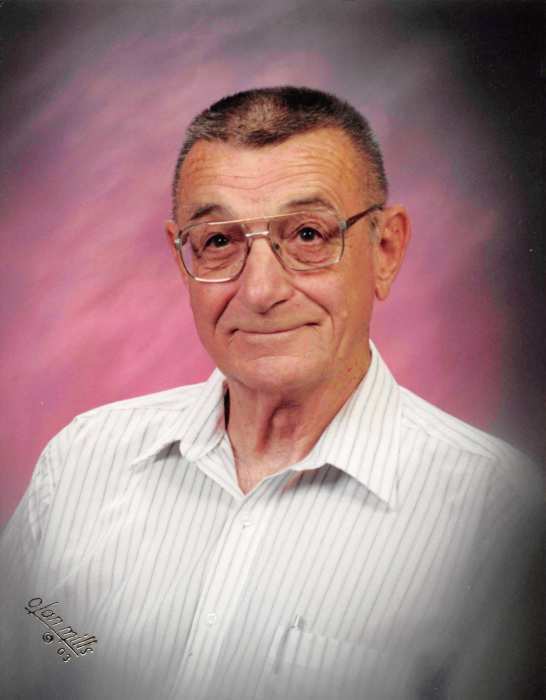 George Samuel Cox, 92, of Gothenburg Nebraska, died April 12, 2019 at Gothenburg Health in Gothenburg. He was born December 15, 1926 in Pawnee City, NE to Jerome and Hallie (Transue) Cox. His mother died while in childbirth and he was raised by his grandparents, George and Minnie Transue in Summerfield, KS. At the age of 12, he went to live with his father and stepmother, Dorothy in Burchard, NE. Following his graduation from Burchard High School, he served in the U.S. Navy during WWlI. On April 4, 1948 he married Anna Leone Baker in Fairmont, NE. They made their home in North Platte where he worked many jobs including Fairmont Foods, Goodyear Tire Co. and W.J. O'Connor store. They moved to Gothenburg in 1971 to manage the O'Connor Variety store. When it closed he worked at Petersons Supermarket and the Ben Franklin store. He then worked for Huebner's Nursery in North Platte for many years. George was preceded in death by his parents and stepmother, sons Marc and James, brother Thomas Cox, and sister Mary Utermohlen. He is survived by his wife of 71 years, Leone of Gothenburg, daughters Madeleine (Mike) Kovanda of Monett, MO and Jocile (Gary) Peterson of Akron, CO, son John (Lori) of Sargent, NE: eight grandchildren, eighteen great grandchildren and two great-great grandchildren and brother Jerry Cox. Register Book signing will be held from 9:00a.m. to 6:00 p.m. with the family present from 4:00 to 6:00 p.m. on Thursday, April 18, 2019 at Blase-Strauser Memorial Chapel, Gothenburg, NE. Graveside Services will be held at Fort McPherson National Cemetery, on Friday, April 19, 2019 at 3:00 p.m. with Rev. David Boyd officiating. Inurnment will follow at Fort McPherson.